If you would like to take a partial payment on a proposal or invoice, for example a 50% deposit, you need to request the deposit on your end and then that will be what the client is prompted to pay. The client does not have the opportunity to choose the amount they would like to pay. The power to set the payment amount is entirely in your hands. 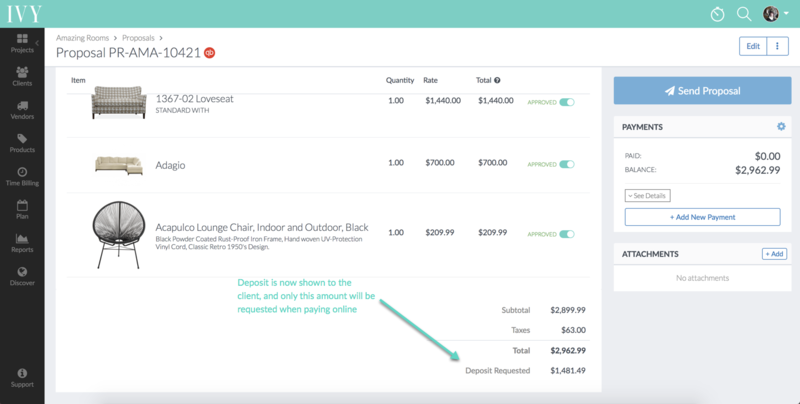 You can request a deposit by going into the edit mode on the proposal or invoice and scrolling to the bottom where the totals are listed. Under the totals you'll see a space to request a deposit. Simply enter the % or $ amount of the deposit you'd like to request, and save the proposal/invoice. 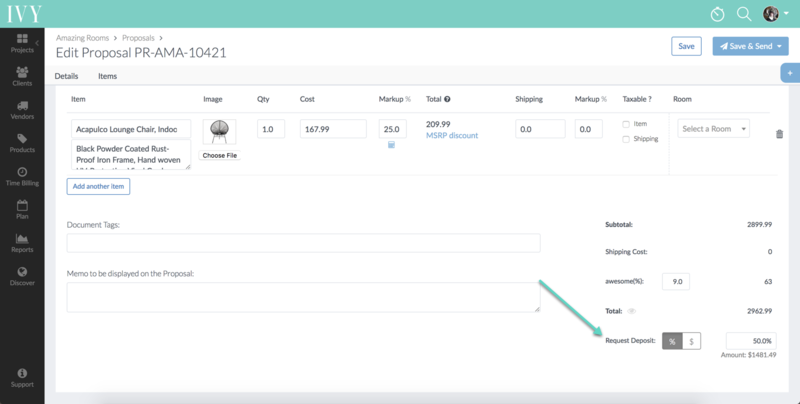 Setting a percentage will give you more flexibility when proposals allow approvals per line item, giving the client the ability to decline an item and then recalculating the deposit amount automatically. Now when you send the proposal/invoice, make sure to select "Allow Deposit Payments" in the Review & Send window before you send it out. Your client will then be able to pay the proposal deposit.